Often, there are great websites hidden from widespread search engine results (SERPs) exposure because they lack an organic search engine optimization strategy or their strategy does not include enough attention to clear subject relevance or siloing. In this document you will find a strategy for improving the clarity of a website's overall theme through siloing with the intent to improve keyword rankings. The last and most accessible method of discovering your website's most important subject themes is to ask people within your company which keywords are most important. Often in interviewing the president, marketing or sales managers, you will get an idea of what the company is trying to rank for in organic search results. These generally match the content, so it would be useful validate the expectations against the reality of the site. After creating a list of 10-100 keyword terms that appear to be most relevant to your company's product and/or services, then it is time to begin keyword research. During the process of keyword research, the first goal is to grow the keyword list as large as possible. Cover as many relevant subjects, even those only somewhat connected to the website's subject themes. Use keyword discovery tools to identify every possible synonym even remotely related to the site's subject matter. The last test is to evaluate each major engine by using advanced search parameters. While each engine has its own individual syntax, for the sake of simplicity the engine referenced here will be Google. Take a moment to learn about all the ways you can filter search engine results through Google's "site:" command and the "link:" command. Currently, the two most relevant factors of rankings in Google are how many pages a site has about a subject and how many inbound inks from other sites reference the site or specific pages. Use these tools to then research why competitor sites rank. Create a graph that documents the contrast between your site and the competition. Alternately, the sentence outline can be created in Microsoft Word and it is available in virtually every word processing program. It makes the task of organizing subjects easy and is as powerful as the organization chart, allowing you to highlight the pros and cons of subject categorization. There are two distinct methods of siloing: directory silos and virtual silos. Both allow site owners to create tight themes through linking strategies, however, they approach the concept very differently. Whichever method of siloing you plan to use, we recommend designing the silos before creating the website, whenever possible. Doing it this way will allow you more options with your design process. We developed our siloing technique after discovering that many of our clients expressed difficulty in ranking both for their site's generic keywords (i.e. jelly) and for specific page terms (i.e. organic strawberry jelly). We found that, contrary to popular myth, that by haphazardly linking to unrelated (or even semi-related) internal pages clients were actually diluting the theme of their website. This, in turn, caused lower rankings because the search engines were unable to identify what the site was supposed to be about. By implementing proper siloing, site owners can ensure that their pages rank well for theme-specific keywords, as well as general site keywords. Siloed sites quickly become dominant for important keyword phrases. Most sites will find that their topic is widespread enough that they need to separate it into multiple themes. If you find that your creamy peanut butter silo can be divided even further, you may create multiple sub-silos, however keep the number within reason. We recommend keeping the pages about two to three directories deep. Delving further than that may cause deeper pages to not receive enough links to be considered relevant. Additional silos give you more room for keywords and keyword synonyms. The tighter your silos are, the better your chance at ranking for your theme-specific keywords including especially long-tail keywords. Just make sure you're not forgetting your more general terms in the process. Your silos should target both sets of terms. Heifer.org's problem is not that the site badly ranked. In fact, we see that they are ranked for some high-activity terms. The problem is that these terms are 80% branded terms while the remainder is search terms that do not target potential donors. While it is critical that any charity be ranked for its name, it is also important to understand that if those keyword phrases are all that the site ranks for, then major traffic opportunities are being missed. Following are the terms that Heifer.org ranks for. Note the prevalence of branded terms. In order to encourage the maximum amount of donors to give to Heifer International, the Heifer.org website needs to dedicate major sections of the site to attracting visitors and then converting these visitors to donors. Instead of expanding the website by discussing the organizational structure of the charity, more ranking benefit would be achieved with the addition of several Web pages of keyword-rich text content discussing why giving to Heifer.org is in the best interest of the donor. In fact, Heifer International does discuss these major groups, but in much less frequency than is required to rank and be relevant for donors. The following are top categories that Heifer needs to focus on in order to increase donors to their website. Build several pages answering the question "Why should Heifer.org be made a benefactor in my will?" Explain through case studies or specific examples why Heifer International should be a "charitable trust" within a will or inheritance. Cross-silo and inter-silo linking, collectively considered internal site linking, is one important part of virtual siloing best practices. The three main linking types that affect high keywords rankings are: inbound linking, outbound linking and internal site linking. 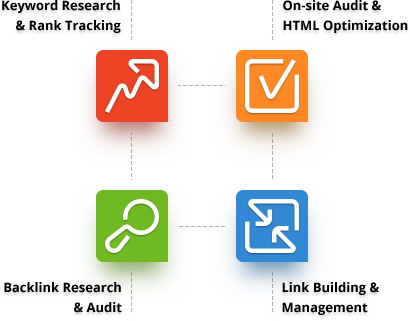 Inbound linking is perhaps the most well known and discussed of the link structure elements. Despite all the good press, too few websites obtain the most relevant keyword phrases in the link text pointed to their site. Understandably, many website owners don't control the text that other sites use to link to them. However, for many charity or nonprofit sites, having a page on your website dedicated to instructing visitors on how you prefer to be linked to or even offering an appropriate code snippet would be acceptable. In the case of commercial websites, it never hurts to request a revision of the inbound link anchor text. Websites can suggest what the most appropriate way to link back might be. Never require certain text, but provide options for the creatively challenged. The link anchor text should contain appropriate relevant keyword phrases (i.e. charity giving, religious charity). The link text must also match the page subject in order to be considered subject relevant. A relevant website linked to the most relevant category on the website offers the highest value. A link from a page that has little or no relevance may harm or dilute the link value or overall website. It is important to have other high ranked websites pointing links to your site; however, if the only websites that link to your site are of expert quality, it may seem artificial or suspicious to search engines. It is a more natural pattern to see a variety of new and more established sites linking to your site acquired gradually over time rather than instantaneously. Choosing to accept links from other ethical websites will have a lasting affect on your site's rankings. Choosing sites that deliberately try to boost link popularity through link farms or other schemes to fool the search engines may lead to a drop in rankings or possible search engine penalties. The most important guideline of link building is don't buy links. Buying links is one of the tactics that Google is trying to eradicate from the Internet and suspicion of link buying may lead to severe penalties. IFRAMEs: If you have repetitive elements, add an IFRAME to isolate the object to one location and eliminate subject confusion from interlinking. The contents of an IFRAME is an external element that is not a part of the page, or any page except the HTML of the IFRAME contents file itself. As such, IFRAME contents does not count as a part of any page displaying the IFRAME code. Let's revisit the nonprofit site Heifer.org and examine a sample of their primary and secondary silo categories. Use the two operators above to determine how much content will be required to compete for a given keyword phrase. Typically a charity oriented website would have some existing content focused on many of the main fundraising and charity-centric subjects that they target. However, in the case of Heifer.org, the site does little to describe the people from whom they are trying to solicit donations. Below is a potential breakdown by type of target audience and some possible related keywords. This site has a huge amount of content on their home page which highlights two major factors. One, that "fundraising ideas" is potentially a very competitive term and that much of this information is built by volunteers. The information is lengthy and very generic with little adherence to an actual institution, which suggests it was written by well-meaning teachers and other types of educators for school programs.